Noblesville Trophies has a large selection and only a small amount of product is available on our website. It would impossible to put every trophy on this website. 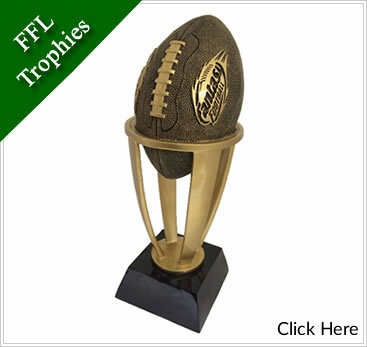 We like building take unique trophy for your individual or groups needs, like Fantasy Footballs, Column Trophies. We have many of these options in stock of all the above.